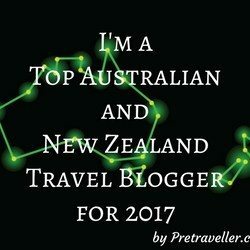 When people ask me what I love about travelling I almost always say ‘the food’. There is something about sitting in a foreign country poring over a menu and trying to translate what it says. 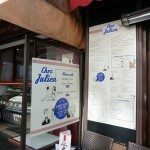 Having experienced many’lost in translation moments’ in our travels sometimes it is so much easier to start a visit to any country with a food tour. 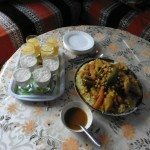 We often try and do either a food tour like one, we did in Paris or a cooking class like this in Essaouira. With these amazing experiences in mind, we were excited to find Taste Hungary in Budapest while planning our visit. 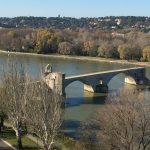 We spent ages on their website before contacting them to see if they would like to partner with us on our trip to Budapest. The choices of tours available were amazing and there is something for everyone we were almost overwhelmed with so much choice. The Market Tour looked amazing spending a morning meandering along through the Great Market Hall, taking in both the atmosphere and sampling some of the diverse food available. We decided that we really wanted to just meander through that by ourselves and spent almost three hours there looking at both the food available and the souvenirs, stunning handmade tablecloths, beautiful jewelry and all the normal coffee cups and such. 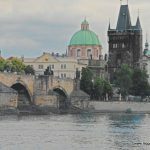 We then spotted the Culinary Walk Sunday Edition, which sounded perfect for us, a meander around Budapest trying a variety of foods while learning a little about the city as well. We were really impressed at the professionalism and how detailed the information was we received about our tour, the standout, however, was the inclusion of a bio of our guide for the day. This gave us the chance to learn a little about Orsyla and her background before we met her. Sometimes it takes a while to get to know guides when you are on a tour but this meant we felt we already knew her before we met.Orsyla was a knowledgeable guide who seemed able to answer anything not only about the food we were trying but also the things we saw along the way. There is a saying ‘life is short eat dessert first’ and our Culinary Walk Sunday Edition embraced it. 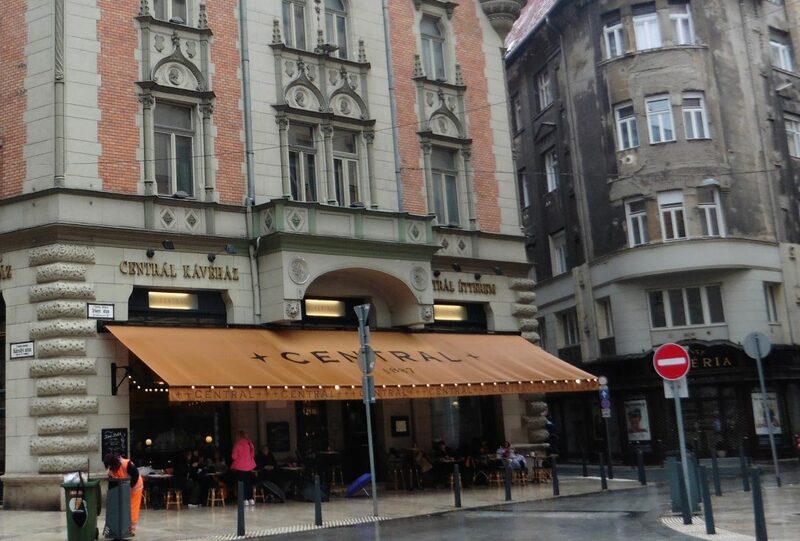 We met our guide, Orsyla at the iconic Central Cafe , one of the original ‘coffee houses of Budapest. A meeting place for prominent Hungarian writers at the turn of the 20th Century, it was like stepping back in time when you entered the front door. They specialise in homemade cakes and tasting these Hungarian specialties were on our plan. Armed with freshly made coffee, we tryed three different cakes, the first a Sacher, similar to the Austrian one but not as rich. I had tried this in Vienna a few years ago and found it to rich to eat this version was really nice and full of flavour. Next was the Dobos cake of thin vanilla sponge, layered with chocolate cream and topped with a crisp toffee. This was really nice too although the topping being so hard it had to be eaten separately so it impacted the final experience. Finally, we tried Esterhazy a mouthwatering layer of walnut sponge filled with light walnut-vanilla cream and a creamy icing on top. This was the standout for us it melted in our mouths and was not very rich but full of flavour. Each cake had a story behind it and how it became part of the Hungarian culinary history which added to our enjoyment. Ruin Bars are scattered all over Budapest, they started about 20 years ago in abandoned buildings that were scattered all over the city but mainly in the Jewish district. They have a variety of themes and each is unique but many are an Occ Health and Safety Officer’s nightmare. The original one is the Szimpla Kert in Kazanzy Street, it is a mish-mash of different themed rooms, filled with eclectic collections of furniture and graffiti-covered walls. It has an amazing feeling of community and sells both food and drink. 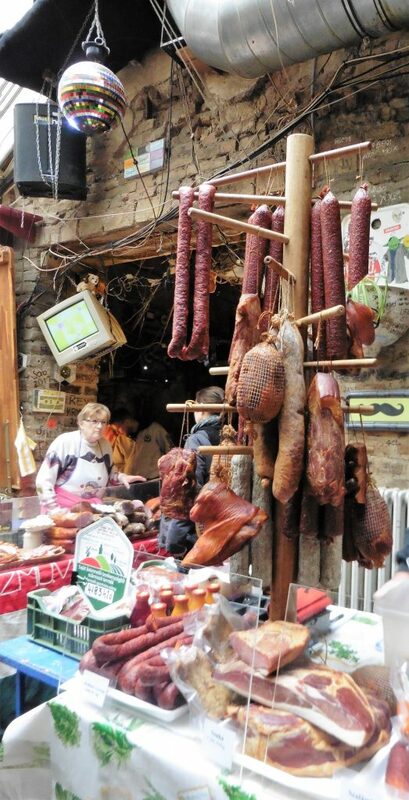 The Szimpla Kert takes on a completely new life on Sunday mornings where to local farmers set up to sell their wares, from vegetables to honey to salamis they are all homemade or homegrown and the place is buzzing. In one corner a community group was set up selling cakes to raise money for their organisation and a community farmers breakfast is available, made from donations from the stall holders with the profits supporting community organisations. We have presented a selection of meats, cheeses, and bread that were for sale to sample. We also enjoyed a glass the local liquor, Unicum made from a blend of herbs and spices regarded as a tonic by locals almost like the way Rajkia is regarded in the Baltic countries. ‘Drink up it is good for your health’, we were told on the train from Bar to Belgrade by the ladies, we were told the same here. Next to the Szimpla Kert is a laneway filled with caravans selling street food with a Hungarian twist. We were surprised at how busy it was considering it had been snowing and was pretty cold when we were there. 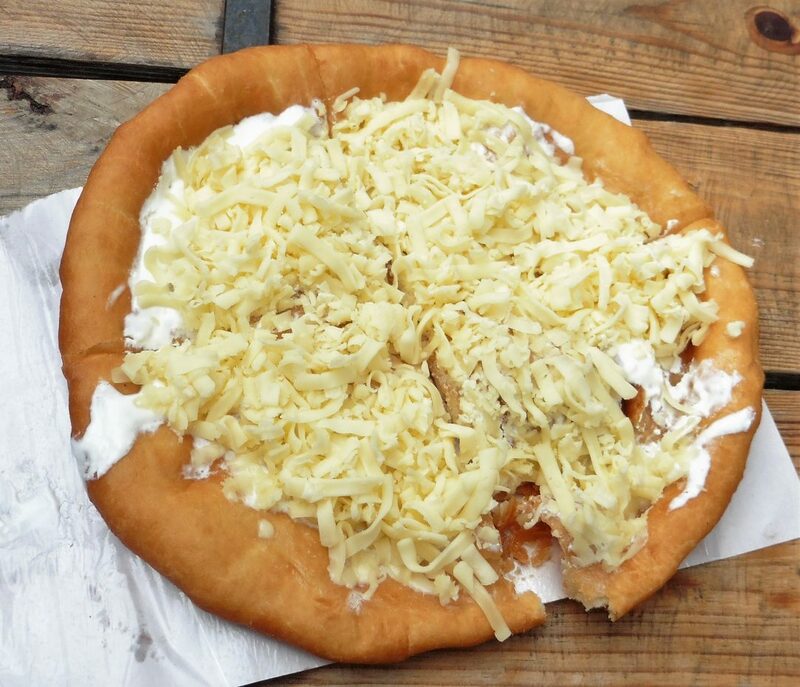 The variety is amazing from the traditional Langos which can sort of be described as a flattened savory donut slathered in sour cream and covered in cheese. It was so simple but really tasty. We also tried a traditional goulash served in a crusty bread roll on another visit which was also really good as well. They had fried cheeseburgers (no meat just fried crumbed cheese and other fillings), chimney cakes (dough wrapped around a stick and baked over coals) along with a variety of other foods. Well worth a visit preferably with an empty stomach. 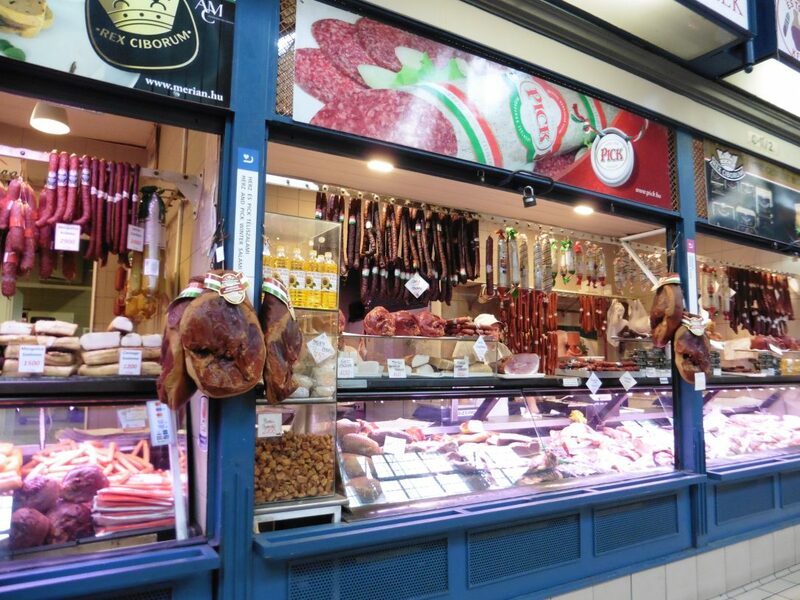 One of the things we had noticed in our wanderings were a few shops that looked like butchers, filled with locals standing around tables and sharing food. 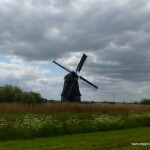 What we discovered on our tour were these are a local favourite, and almost always busy. 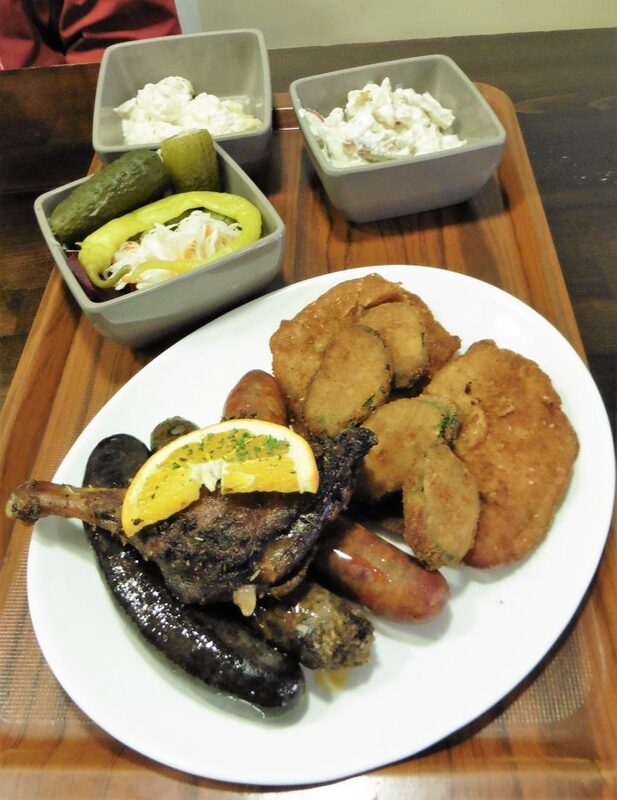 You order at the counter and choose from a variety of cooked meats, schnitzels, duck, and sausages. You then add the extras you want pickles, potato salad, sauerkraut etc. Prices are really competitive and the food was good too. They have an interesting atmosphere as strangers share tables and the place is buzzing with conversation. Our final stop was at the Tasting Table to sample some of the local Hungarian wines. We sampled three iconic wines including the famous Tokaji, the dessert wine from the region of the same name. The lady there gave us a lovely talk about the regions where our wines came from and they were paired with some local cheeses for us to sample. It was the perfect end to a wonderful tour. 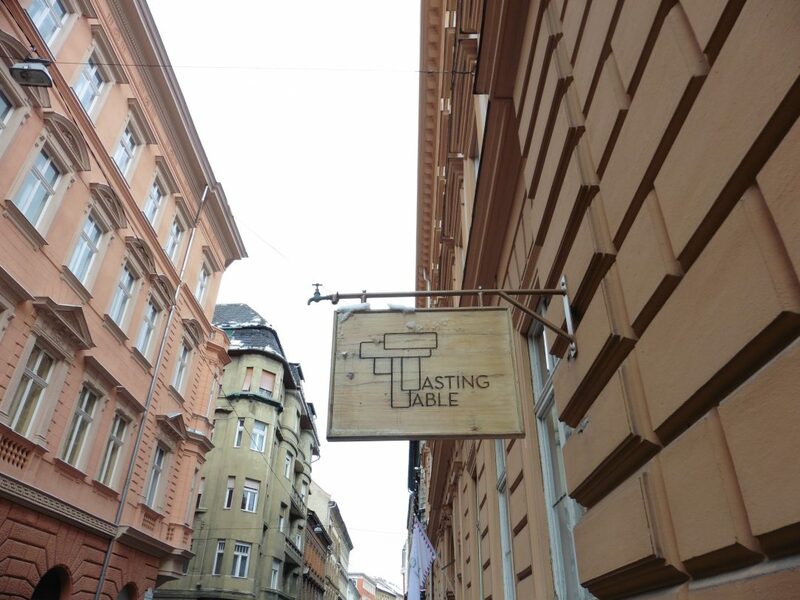 If you are a wine lover the Tasting Table really should be a stop to add to your Budapest itinerary. 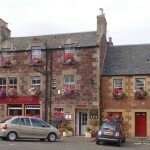 They have a huge selection of wine to choose from and also hold a variety of gourmet evenings where you get to try both local food and wines. They also can provide a local tasting plate with wine if you prebook beforehand so a perfect lunch stop. 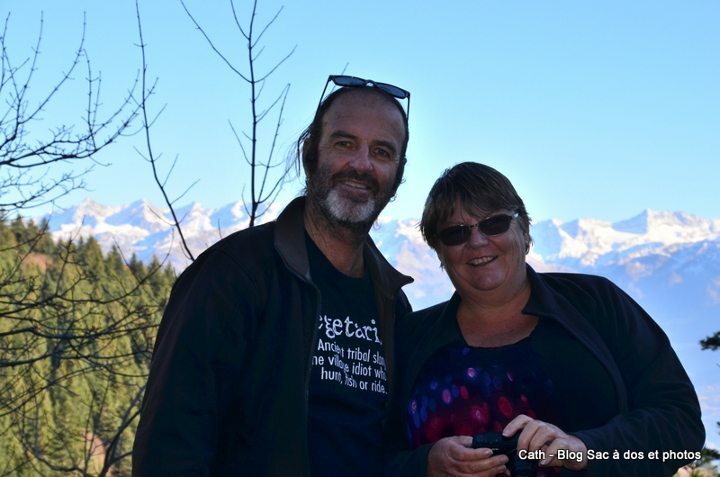 We really enjoyed our tour, being guided along and not having to try and negotiate a strange city is always a bonus. The food was all excellent and we felt we got to taste all the classics that we think of as ‘Hungarian Food’ plus plenty of new taste experiences. Our guide, Orsyla was interesting and very knowledgeable she shared the history of the food and how it came to be part of Hungarian culture which really added to our understanding of the country. After such an amazing experience we will be trying another of their tours when we return to Budapest in the future. This sounds like a GREAT food walk! I wish I had known about the ruin bars and butcher-shop dining when I visited Budapest a few years ago. Next time, for sure. I also like to eat my way through a new place. That tour your took sounds really good. My memories of Budapest is goulash, cakes, and hot springs.